Edinburgh, 22nd July 2015 – Exterity (Integrate stand A33), the leading provider of enterprise IPTV technologies for the secure distribution of live, on-demand and recorded video over IP, today announced that it will showcase its enterprise IP video distribution system at Integrate Expo (Melbourne Convention Exhibition Center, 26-28 August). Integrate Expo will see Exterity demonstrate how its ‘Beyond the LAN’ range of products enables proAV installers and organizations to securely distribute high quality video content from any source to any connected device. 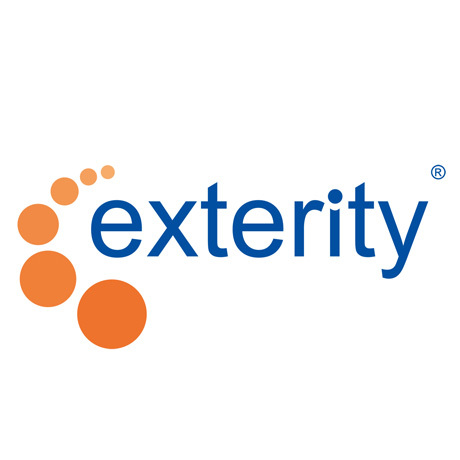 Exterity provides solutions that leverage the existing corporate network to securely distribute terrestrial, satellite or cable, as well as internal channels over IP, allowing the seamless delivery of live TV, premium channels, OTT services, enterprise TV and digital signage to fixed displays and mobile devices. Seamless integration with complementary technologies enables organizations to deliver a complete, feature-rich solution with the ability to design full or multi-zoned screens with live or prerecorded video content; display RSS news feeds and scrolling text; support image playlists and playout scheduling, as well as automatic playback of digital signage. The demonstration of the full ‘Beyond the LAN’ range of products will enable proAV specialists and organizations in the corporate, education, healthcare, hospitality, media & broadcast, oil & gas, transport and venues industries to discover how they can deliver a branded professional TV and video experience to a variety of devices over WAN, Wi-Fi, the Internet or via a Content Delivery Network. The Exterity system incorporates multiple devices including encoders, receivers, TVgateways, transcodersand Origin Server to help proAV installers make video content consistently available on any screen. Centrally controlled from the AvediaServer, the system allows organizations to stream content across their HQ and regional offices, give staff access to multiple news channels to inform decision making, and enables visitors and guests to receive high quality information and entertainment on their mobile devices. Integrate Expo takes place on 26th – 28th August, 2015 in Melbourne, Australia.